In 1945, a chain-smoking surgeon, a deaf female doctor, and a self-taught African-American lab tech developed a risky procedure that revolutionized medicine. A Massive Stroke Ruined Half My Mom’s Brain. A Year Later, She Wrote Me This Letter. I’ve been dwelling on what I lost. But a three-sentence note showed me what I still have. This Man Spent Years Waiting for the Phone Call That Would Change Everything. One Day It Finally Came. An intimate look at life on the kidney waiting list. As a child psychologist, I help all kinds of families diagnose and deal with autism. But the hardest thing was when I started to see signs right under my nose. At 26, I never thought I was old enough to get one of those life-shattering phone calls. But my phone did ring, and I already know that nothing will ever be the same again. As a kid I abhorred my malformed hand and missing fingers. It took trying out a replacement to realize that the hands I was born with are the only ones I need. 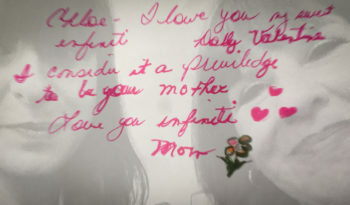 When an infant dies or is delivered stillborn, distraught parents face the heart-wrenching process of how to memorialize a child who doesn’t survive. For an enthusiastic teenager and his long-devoted family, the prospect of autism colliding with adulthood unveils an entirely new set of caregiving concerns.